The tools available to students of the guitar – or any instrument – are constantly changing and for the most part improving with time. When I first started playing guitar more than 50 years ago you would have been lucky to find multimedia instructional materials. Maybe you could find a few Long Play (LP: 33 1/3 rpm) instructional records, but not many. The printed guitar method books available then were terrible. I was lucky to find a few folk music instruction books such as the Folksingers Guitar Guide. If you were interested in Country, Blue Grass, Jazz, Rock or most other generes you’d be lucky to find any printed material. This wasn’t all bad. The lack of instructional materials forced you to dig deeper and harder to figure things out on your own or to pay attention to members of your band to pick up techniques. One of the things many of the great musician’s did (and still do) is learn to play the tunes of the masters in their genre. This means playing a recording over and over so you could learn each phrase and then put it all together. This is hard work and can be frustrating when you are attempting to transcribe a difficult passage. But it is also extremely rewarding. You will likely learn much more doing this than having a piece of music spoon fed to you. The popularity of guitar combined with advances in technology resulted in an increase in instructional material for guitarists. VHS and later DVD allowed instructional videos to be created. The choice in printed instructional books widened to include genre specific lessons and people began bundling multimedia instructional materials – video, audio and printed material working together. One of the best things in the early days of the internet was the On Line Guitar Archive or OLGA. OLGA was a respository of guitar tab to a huge variety of musical styles. The tablature was simle text (ASCII back then) created by students who wanted to share their discoveries. These were created guitarists who had done the difficult part of listening and transcribing the music. Not all tabs were of a complete tune. Many were just riffs or phrases. And not all tabs were accurate or even very good. But it was a great way to compare different ways to play the same tune. The OLGA is long gone. You can still find guitar (and other instrument) tab on the internet but tab websites live under the threat of being shutdown by publishers for copyright infringement. Teaching and scholarship are protected fair use exclusions to the copyright law which means some tabs are likely protected. But a complete transcription of a tune is unlikely to be protected. Over the last several years some copyright holders have been extorting money from websites over alleged copyright violations which might in fact be legitimate exclusions under fair use. Because it costs money to defend against these lawsuits, even if you are in the right, some sites have given in to the extortion. But if complete transcriptions are not allowed under the copyright act, the chord changes to a tune are allowed. The reason is the chords are not specific enough without a melody and note durations to uniquely define a tune. Many famous tunes can be played to the same chord changes. Think about a 12 bar blues. Thousands of tunes fit the chords. You can therefore find websites and device apps that provide the chord structure to a huge selection of tunes – but no lead sheet melody. Another approach to avoid copyright problems is for instructors to illustrate themes and styles used in popular tunes by famous artists but do so using original music. These are not transcriptions but original works owned by the instructor – i.e., the instructor is the copyright holder. The original music is in the style of the famous tune – it is suggestive without being a copy. And it serves to teach the techniques used to play the guitar part to the song even if none of the licks or melody parts are identical. Still another popular teaching device is to teach licks. Licks are short musical phrases that are used repeatedly by many musicians. Licks that can be identified in different tunes by different artists are by definition not copyrightable. They are in the public domain. They can be freely shared on the web or on your phone and tablet apps. If you want accurate transcriptions to tab in an electronically readable format and ideally, with the ability to hear the transcribed guitar part and control the playback speed then your choices are fewer. The publishers of such apps/websites will have needed to get the permission to reproduce the work from the copyright holder and that costs money. Apps and websites that do this tend to pass this cost on to you often by a subscription model where you can access their transcriptions for a fixed fee paid each month. Old School. Guitar instruction books with diagrams in tab and music notation but no audio or video or interactive learning. The best thing about these is they tend to be inexpensive. They’re also travel well if you are going someplace without wifi, internet or electricity. Really? There are some excellent instruction books that have been written over the years so I shouldn’t make fun of these books. However, most of these now come with CD, DVD or links to download mp3 recordings. A plain book really is pretty primitive. It had better be a great book if that’s all it’s going to give you. Chords Only. 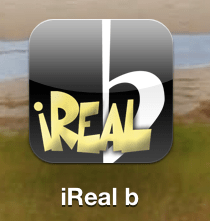 I have the App iRealb on my iPad and iPhone. You can download the chord charts to many of the standards in the Real Book and other fake books and have them always available on your device. The chord charts look something like the one on the right. That came from the website, MyRealBook.com. Both the App and the website allow you transpose the chords to any key. The App also lets you play back a midi version of the tune – chords, a selected rhythm style and a speed (bpm). No melodies but often this is enough to get you started of you’re familiar with the tune. Wolf Marshall has written many guitar instruction books and articles on how to play in the style of some famous artist. This is done mostly through original compositions and licks in the style of the artist. 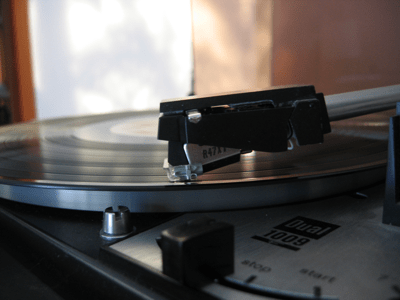 What if you wanted to play a tune that was never recorded by your favorite artist? You could still play it the same style. Wolf Marshall has also published books of licks as has many other authors. TrueFire sells videos and has online lessons, often from the videos they sell. I recently joined for two months at $15/month. I could view most of their video lessons for as long as my subscription was active. During this time I could also download mp3 backing tracks and tab (as PDF or PowerTab .ptb files). The downloads I could keep after my subscription expired but there’s no way to save the videos unless you’ve purchased them. True fire lessons are almost all original compositions. One of their most popular lessons categories are Fifty Licks. These are played in the style of famous artists or in the style of a genre such as jazz or blues. Songsterr is an online guitar tab archive and player. It has free and paid subscription options for the web version as well as paid android and iOS apps. The device apps give you some of the features that you must pay for on the web version. Although the tabs presented in Songsterr are created and shared by users, Songsterr pays royalties to copyright holders and is thus legal according to their help page. The playback controls allow you to hear the tab although some options (tempo, full screen, looping, etc.) require the paid version.